Few brands are as polarizing as Supreme. Either you love it, or you hate it. But since it was founded by James Jebbia in 1994, the brand has amassed a following of disciples, collectors, skateboarders, and, yes, even haters. One thing they all have in common is an endless thirst for anything with a box logo. And with that ridiculous demand, comes stories, myths, legends, and rumors that surround the brand&apos;s history. But Jebbia is a quiet man. He keeps a low profile and his brand has prospered because of, not despite, that. It&apos;s part of the allure. It&apos;s the reason people are so loyal to the brand. There are a lot of things Supreme probably doesn&apos;t want you to know. 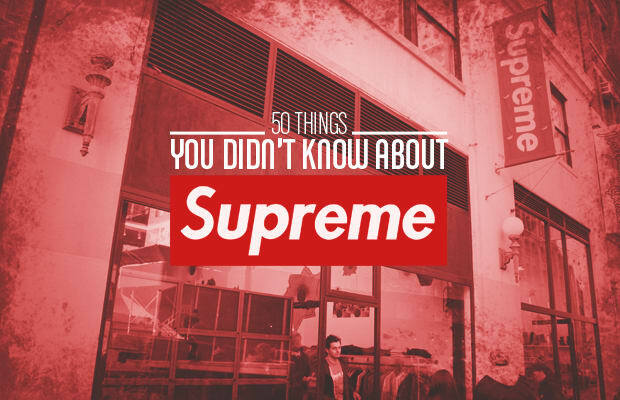 But the truth is out there, so here are 50 Things You Didn&apos;t Know About Supreme.